M. Night Shyamalan's time in the world of big-budget tentpoles hasn't exactly done wonders for his artistic cred (see: The Last Airbender, After Earth), but his new project The Visit brings the filmmaker back to his roots in atmosphere-heavy thriller fare. However, this time Shyamalan has incorporated something of a found-footage twist to the proceedings, judging by the new trailers for The Visit (like the U.S. promo, above). That's not a huge surprise, though; The Visit was backed by Blumhouse, which previously gave us the low-budget found-footage cash cow that is Paranormal Activity, as well as the less costly (but lucrative) horror/thriller movie properties Insidious and Sinister. Shyamalan's latest appears to have a more pronounced "indie" aesthetic than any film he's made in quite some time - but will stepping away from the world of studio movies help the writer/director to recapture his creative spark? The Visit stars Olivia DeJonge (Hiding) and Ed Oxenbould (Alexander and the Terrible, Horrible, No Good, Very Bad Day) as a brother and sister whose single mother (Kathryn Hahn) sends them to the Pennsylvania countryside, to spend a week with their grandparents - played by Deanna Dunagan (Have a Little Faith) and Peter McRobbie (Daredevil) - at their remote farmhouse. Both the U.S. trailer and international trailer (featured below) are fairly different in terms of the footage they show, but at the same time avoid shedding too much light on the film's story. The short of it: the main characters quickly realize that something is terribly wrong with their grandparents... and try to discover the truth about what's happening, before it's too late. The Visit was originally titled Sundowning: a term used for dementia patients who become restless and confused shortly after sunset. 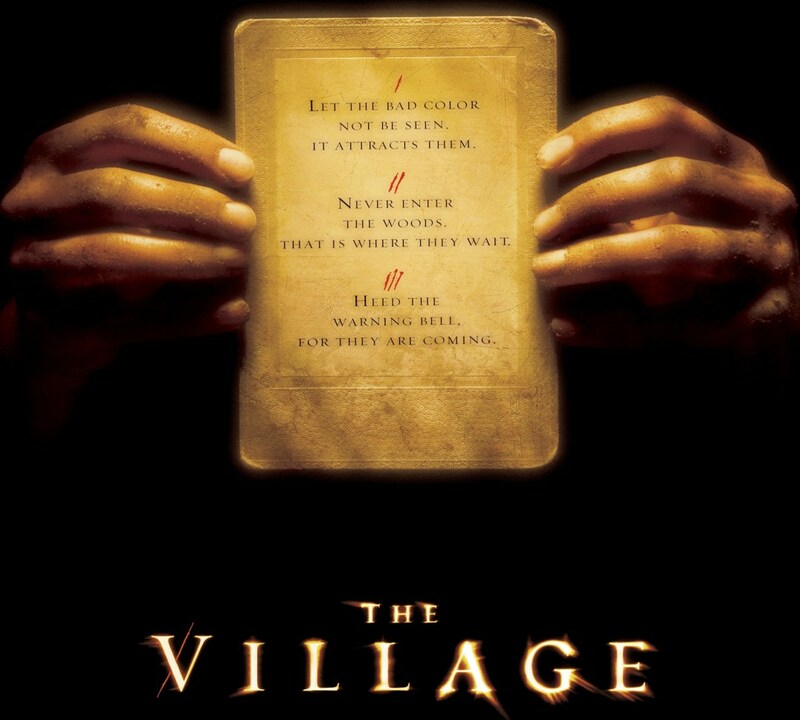 Shyamalan appears to have crafted a parable (possibly with supernatural horror elements) about similar issues related to the aging process here, recalling his better earlier work like Sixth Sense, Unbreakable, and The Village - which imbued their creepy proceedings with meaningful subtext. For now the safer bet is that The Visit will be an improvement over Shyamalan's recent big-budget films, but not necessarily all that chilling a thriller in its own right - that is, assuming you agree the trailer doesn't make the film look so terrifying (and bits like the oven line are more funny than disturbing). It doesn't help that Shyamalan appears to be treading a little too close to his previous work here. ... Or that the film's poster, while clever on its own terms, also recycles ideas from the marketing for past Shymalan thrillers. The Visit opens in U.S. theaters on September 11th, 2015.